Stanford Advanced Material (SAM) is a trusted precious metals supplier. 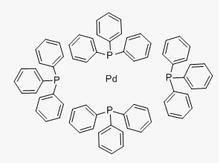 We provide high quality palladium metal catalysts for electronic, pharmaceutical, research and development applications. Related products: Silver (Ag) Catalyst, Iridium (Ir) Catalyst, Nickel (Ni) Catalyst, Ruthenium (Ru) Catalyst, Gold (Au) Catalyst and Rhodium (Rh) Catalyst.